The Speck SmartShell Case for iPad 2 is a back cover case designed specifically to work with the Apple Smart Cover for the iPad 2. These cases have an instant appeal for me, because the more time I’ve spent with the iPad 2, the more I’ve come to love the smart cover. The SmartShell is another ultra-thin, hard case style back cover for the iPad 2, similar to the Incipio SmartFeather for iPad 2 that I reviewed recently. Both of these look to be high quality back cover cases that play very nicely with the iPad 2 smart cover, so I’ve given the SmartShell a try very soon after testing the SmartFeather. 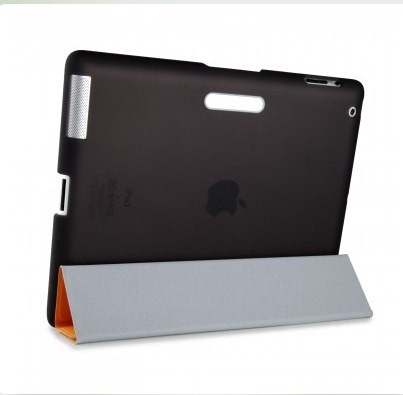 Matte soft-touch hard shell to protect your iPad 2! Dimensions: 0.375" x 7.5" x 9.625"
As with most smart cover compatible back cover cases, the SmartShell leaves nearly its entire left side open to accommodate the smart cover. The case goes for $34.95 an comes in a small range of colors – black satin, pink satin, clear, and orange. I ordered the black satin version. — The SmartShell is a good quality case, and makes a good first impression straight out of the box. It initially felt lighter to me than the Incipio SmartFeather, which for me is a good thing. 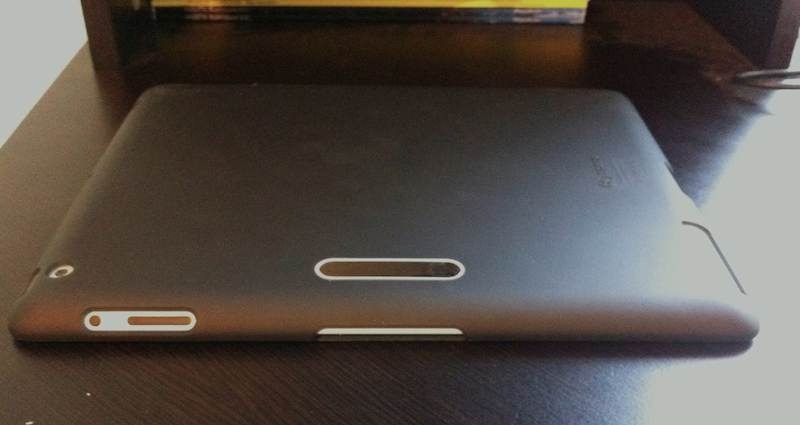 — The cutouts are precise and well executed, offering easy access to all of the iPad 2’s ports and buttons. — Although it’s called a black satin model, the cover is quite transparent. This is a nice touch, as it allows the Apple logo on the back of the iPad 2 to show through clearly while the case is on. It’s also got a slim portrait-mode mirror on its left hand side. I don’t find the mirror very useful, but others may. — It’s easy to get the iPad 2 inserted into the SmartShell. It’s not as easy to get it out, but it rarely is with this type of back cover case. — Oddly, even though this case is physically a little bit heavier (less than an ounce) than the SmartFeather, the iPad 2 feels just a tad lighter with this one on it. 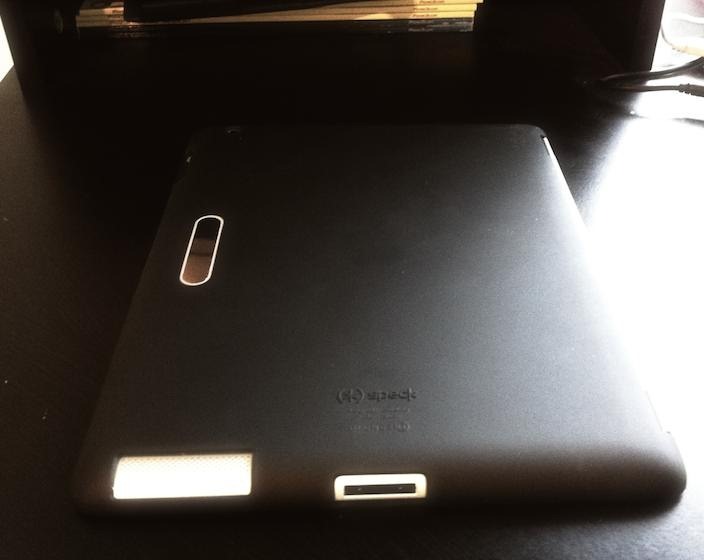 — When I was first getting the iPad 2 into the case it had one very sharp edge on it, on the bottom left grip. It was an actual point, that even poked me a bit as I was getting the iPad 2 inserted. This quickly came off with use, but it was not a welcome element while it was there. I’m impressed with the SmartShell. If you’re after a good-looking and functional case to partner with your iPad 2 smart cover, this is a good option at a nice price. For me, it still makes the iPad 2 feel just a little heavier than I want it to after some regular use – but I think this is very much becoming a personal preference of mine. I’m finding I like the natural lightness of the iPad 2 so much that using it with minimal back cover protection at home is my first choice. The SmartShell may become one of my top choices for when I’m taking the iPad 2 out of the house though. Disclosure: This case was independently purchased by the post author. For further information regarding our site’s review policies, please see the "About" page. Seriously, a portrait mirror? The whole point of this case is that strip acts as a magnet to hold the smart cover to the back when folded over. My bad. Totally blanked that feature mention for it. Another alternative to the Speck SmartShell Case for iPad 2 is Poetic’s SmartShell Smart iPad 2 case cover. Great review! The Speck Smartshell is garbage and to expensive. They offer no real protection. I would get an Otterbox, Seidio or Incipio case. Thanks for the review! I dropped my iPad recently (without a case) and it made me want to go straight out and buy a case for it. I’ve been looking at this one, but I wanted to see other peoples’ opinions on it. Great to know that it works well.